What happens to us when we die? In February 2016, my father died unexpectedly from a heart attack. He was 53 years old. Suddenly, my entire life changed; I had lost my biggest supporter, my most avid teacher, my greatest advocate, and my best friend. Even worse, 2016 was a year marked by many milestones in my young adult life—I graduated high school, turned 18, and began my college adventure. My dad would miss them all. I went through these events without him, all the while having just one question on my mind: What happens to us when we die? During my first year at the University of Oregon, I took PHIL 211, a philosophy class called “Existentialism,” with Associate Professor Peter Warnek. I had no clue what field of study I wanted to pursue, the class simply sounded interesting. Little did I know it would not only determine the direction of my academic career, but also change my entire perspective on life. The loss of my dad left me constantly and painfully wondering where he was and what he was doing. Or perhaps, I thought, he was gone altogether. Questioning whether or not my father still remained, in any sense, led me to a dark and disturbed time in my life. But then I discovered existentialism—the philosophical tradition that inquires into our very being as humans. More specifically, the class introduced me to—and encouraged me to answer—questions about freedom, responsibility, anxiety, nothingness, despair, and hope. The greatest thing I learned from the existentialism class was that the question is not necessarily what happens to us when we die. On the contrary, the most important question we must ask ourselves is, what happens to us when we live? Rather than focusing on questions we will never have answers to, existentialism teaches us to pursue a meaningful life. After taking that course, I was certain that philosophy was the track I was meant to take in both school and life. Since then, philosophy has given me countless valuable gifts. In addition to teaching me skills such as thorough reflection, effective communication, analytic interpretation, social and political awareness, and critical reasoning, philosophy has taught me to appreciate academic rigor and boundless inquiry. What is most important, philosophy has provided me with a profound liberation that offers me a space in which I can challenge the limits of thought. It has allowed me to develop my understanding of the world, and helped me affirm my purpose in life. My experience in the existentialism class ultimately freed me from myself, and from my past. It opened up an entirely new perspective to me that is utterly invaluable. I am left asking—and forever reasking—what does it mean to truly live? 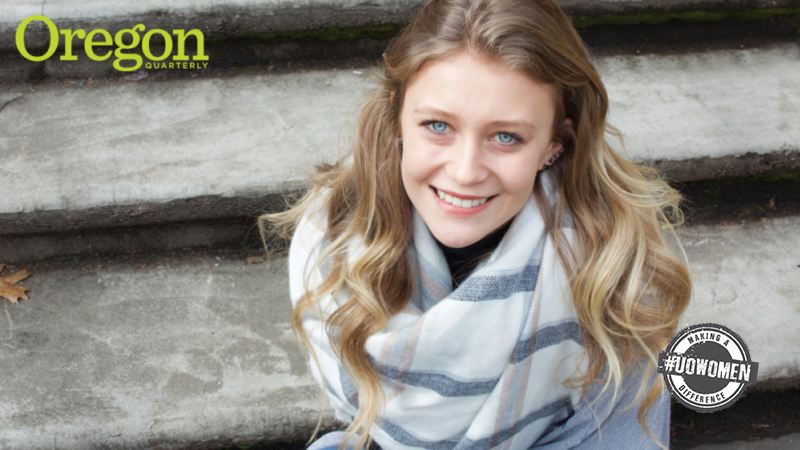 Ellen Chandler of Sisters, Oregon, is a philosophy major and member of the class of 2020.